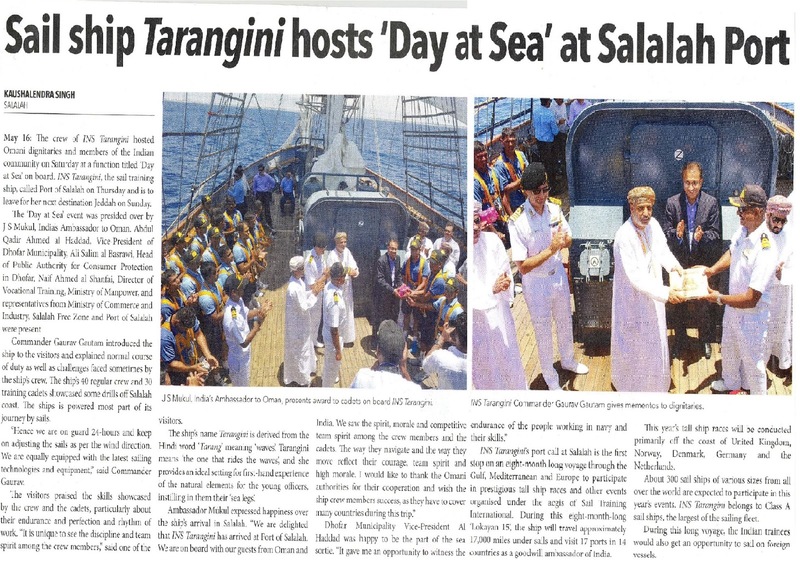 Our stay at Salalah attracted good media coverage the highlights being the visit by children from Indian School, Day at Sea with dignitaries and Media personnel and reception hosted by the Indian Social club. The day at sea was a big hit with the dignitaries and the Media personnel. We showcased what a day at sea looks like for a Sail Training Ship. The crew put up a fervent display of Mast Drill, Sail Setting and Tacking drills. Mast drill competition was won by the Mainmast while the Tug of War was won by Foremast. Prizes were given by The Ambassador and two Omani dignitaries.